With nine days remaining before the constitutional deadline for holding elections expires, British High Commissioner to Guyana, Gregory Quinn, is reminding Guyana’s leaders that the clock is ticking, even as a civil society group is urging President David Granger to announce a date for the polls. 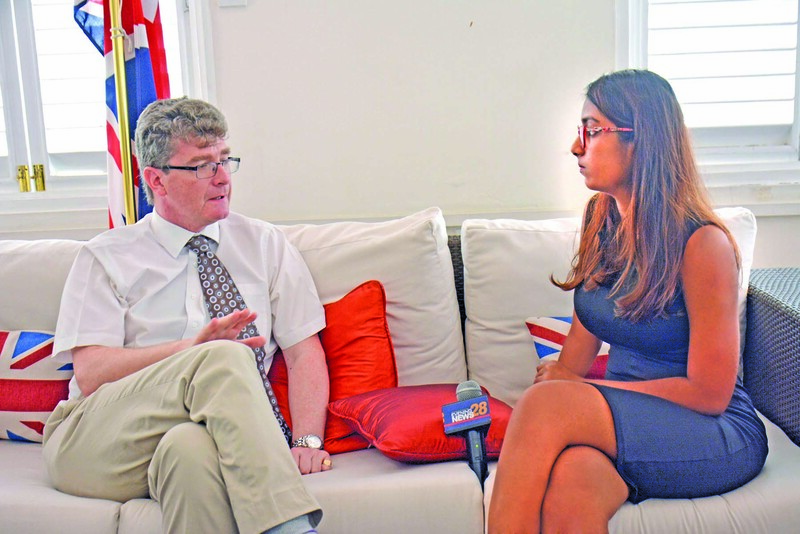 “The Constitution is the supreme law… There is the three-month clock, which is still ticking, it hasn’t been stayed yet…,” the United Kingdom envoy told Guyana Times during an exclusive interview at his Bel Air Gardens residence in Georgetown on Monday. After March 21, 2019, the APNU/AFC Coalition Government effectively becomes illegal. 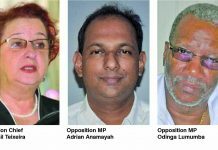 The only way this can change is if the Parliamentary Opposition – People’s Progressive Party – votes for an extension of the life of the Government; but Opposition Leader Bharrat Jagdeo says he will do so only if the Head of State announces a date for elections before the expiry of the current voters’ list on April 30, 2019. However, President Granger is not keen on doing so, as he is pushing for house-to-house registration, a process which can conclude in November 2019. 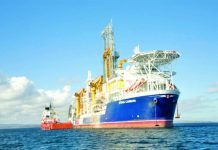 The British diplomat, who has been in Guyana since 2015, says the only way to solve the issue is through consensus among the political leaders. “The only other way of getting through that is the political leadership, for both sides to come to an agreement… Given that ticking clock, it is necessary for both sides to come together and come to a solution as to how to resolve that issue, so we don’t get to the question of what happens the day after,” he stated. 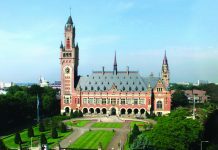 Guyana has never been in such a situation before, and some experienced political analysts, including distinguished lawyers, have predicted that the country will head into a constitutional crisis. 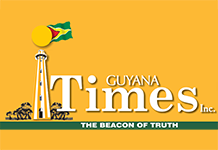 Pressure has been mounting on the coalition administration to adhere to the Constitution of Guyana, and for the President to call a date for elections soon. 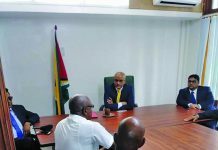 President Granger has been insisting that he has to await guidance from the Guyana Elections Commission (GECOM) before he executes his presidential responsibility. On December 21, 2018 the no-confidence motion brought by the parliamentary Opposition People’s Progressive Party (PPP/C) against the Government succeeded when former AFC Member of Parliament Charrandas Persaud broke rank and made a conscience vote in favour of the motion. President David Granger and Prime Minister Moses Nagamootoo had initially committed to following the provisions outlined in the Constitution, facilitating early elections and engaging in dialogue with the Leader of the Opposition, but have since changed their position. 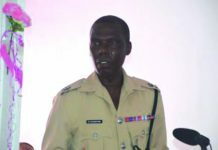 Since the passage of the motion on December 21, 2018 however, persons aligned with the coalition party have sought to question the motion’s validity even as the vote has already been certified. The original proponent of the 34-vote argument is Attorney Nigel Hughes, a former AFC Chairman and the husband of sitting Minister Cathy Hughes, who told State media that half of 65 is 32.5 but when rounded to the nearest whole number, this would be 33 as there is no half member. Following a challenge of this in the High Court, Chief Justice Roxane George ruled that 33 is majority. The Government has since challenged that chief justice’s ruling in the Court of Appeal. That case comes up for hearing today.